Is determined by the person or Board designated by the county or municipal authority responsible for animal control to be potentially dangerous because the dog has engaged in one or more of the behaviors listed in subdivision (2) of this subsection. Approached a person when not on the owner’s property in a vicious or terrorizing manner in an apparent attitude of attack. 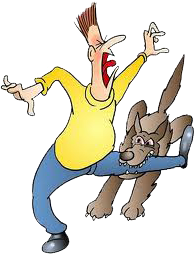 If a plaintiff is bitten by a “dangerous dog,” the owner of the dog may be held strictly liable for damages. Even if the dog is not determined to be a “dangerous dog,” one can still recover damages under the theory of negligence. To prove negligence, the plaintiff must show that the defendant was keeping an “animal with the knowledge of its viciousness.” Lee v. Rice, 154 N.C. App. 471, 472 (2002). If you have sustained injuries after having been bitten by a dog or other dangerous animal, call Collins Law Firm for a consultation at 910-793-9000. We have represented victims of dog bites and recovered money damages for our clients, and we will be happy to talk with you about your case.